Rome is one of Europe's most sought-after destinations for buying property, as it is home to arguably some of the world's finest examples of architecture. 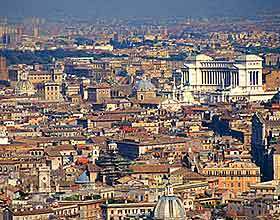 Many expats choose to stay in Rome long term, while others choose to purchase holiday properties or rent for work purposes. Apartments and houses for sale or rent in premium areas such as Trastevere and Piazza Navona command an understandably high premium, and properties with gardens or outdoor space come at a significantly elevated price. Expect to settle on a small apartment if you want to be based in the historic centre, with large, family-size properties more readily available in the suburbs and residential areas of Camilluccia and Aventino. Property in the Italian capital is often turned over at a rapid pace and anyone choosing to stay here will benefit from the city's passion for food, culture and shopping. There are many World Heritage sites in Rome, as well as property overlooking Vatican State and Centro Storico, yet these unbeatable views come at a high price. Serviced apartments in Rome are a popular choice and are simple to find through a rental agency. Short lets and long-stay agreements are widely available with a broad choice of one-bedroom-plus apartments through to large rooms found within plush resorts, complete with modern amenities and facilities. Monthly rates are significantly cheaper than daily or weekly rates and a six-month contract is the usual minimum stay, although some apartments allow for weekly stays at a premium. Furnished apartments are commonplace and the price of a serviced apartment will vary dramatically, dependent on location, with apartments found in the Trastevere region commanding double the price of a similar property in Trieste, in the outer city limits. In general, the usual process for purchasing property in Italy is different to that in the rest of Europe. An 'agente immobiliare' (estate agent) is entitled to receive a fee from both the seller and the buyer, as they are expected to represent both sides, and if you wish for your agente immobiliare to work solely for you, then you must make this clear from the start. All EU citizens are entitled to purchase property in Rome, which makes for a good investment as the ancient city sees consistently high demand on property, thus meaning a market full of eager buyers if and when you wish to sell on. Fees must also be paid to the notary and tax will also be paid, dependent on the price of the property. Owning an apartment in Rome is a popular choice among those seeking to gain excellent profits, with an estimated six to ten percent achievable per year. 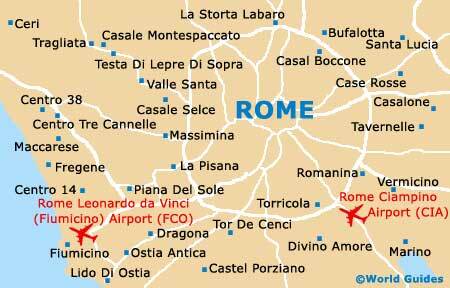 Finding a reliable agente immobiliare in Rome is effortless, as there is a wealth of great choices available. An easy-to-navigate website along with a portfolio of properties that match your requirements are desirable, and request for a staff member who speaks English instead of attempting to discuss important processes in a foreign language. Accommodations Rome boasts a large portfolio of property for sale and rent throughout the inner-city streets through to the suburbs, covering a variety of price brackets. This real estate company has been established since 1962 and offers its customers a range of properties for sale in the city. Roman Reference is the ideal website to visit for all of your rental needs, offering properties suitable for everyone from long-term business people through to short-term holiday makers.